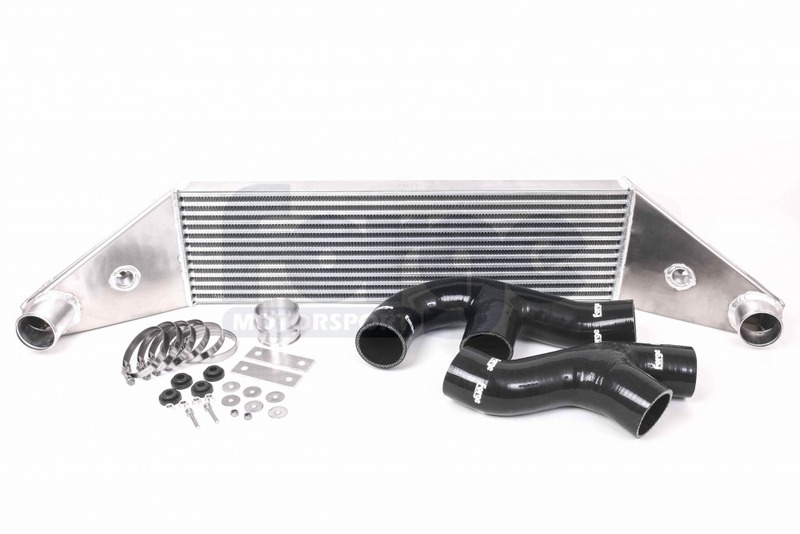 This installation is similar to all our other intercoolers for the transverse FSI and TSI VAG engines with the addition of a second front mounted core in a parallel configuration to the existing OEM front mount. 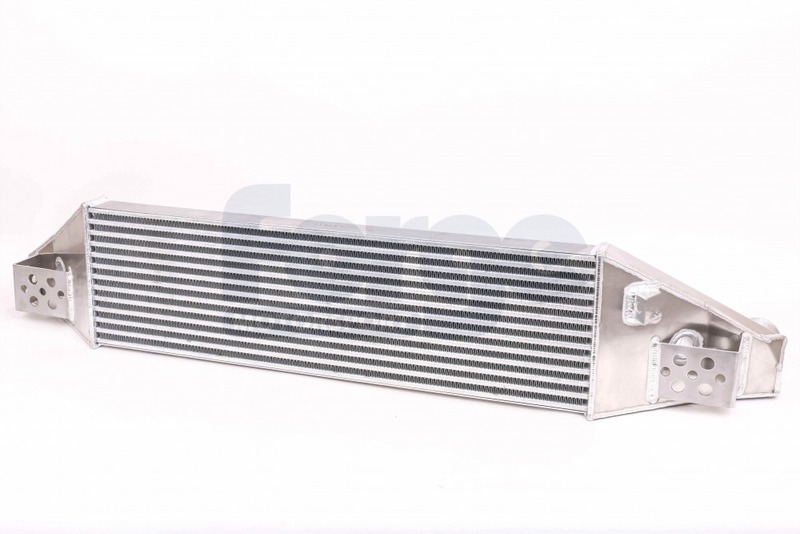 This provides for the greatest possible cooling efficiency with the least negative side effects and least modification to the vehicle for installation. 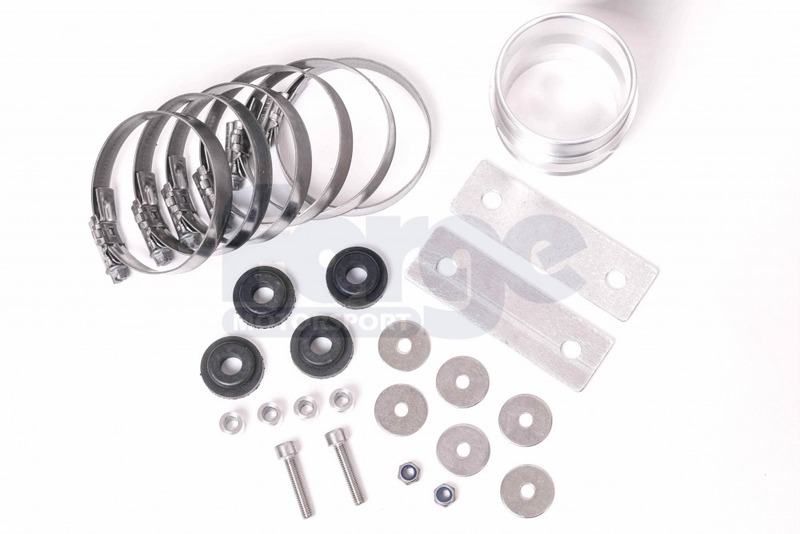 This particular kit is completely unique to the Golf R application, sharing no other parts with any other TWINtercooler kit we offer. 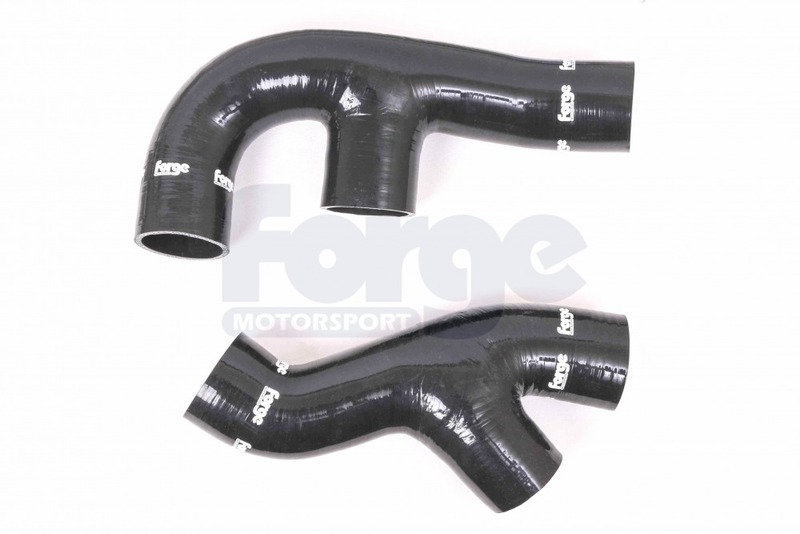 Due to some unique space constraints of the MK6 Golf R platform, this kit has a unique core, which is slightly thinner than our other cores, but it is also wider and taller, giving it overall more surface area for heat dissipation. 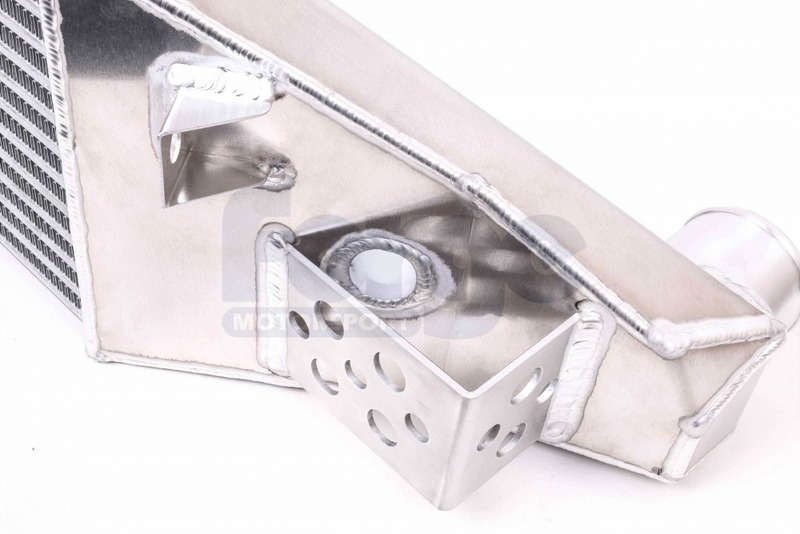 The end tanks and mounting brackets are also unique to this application. 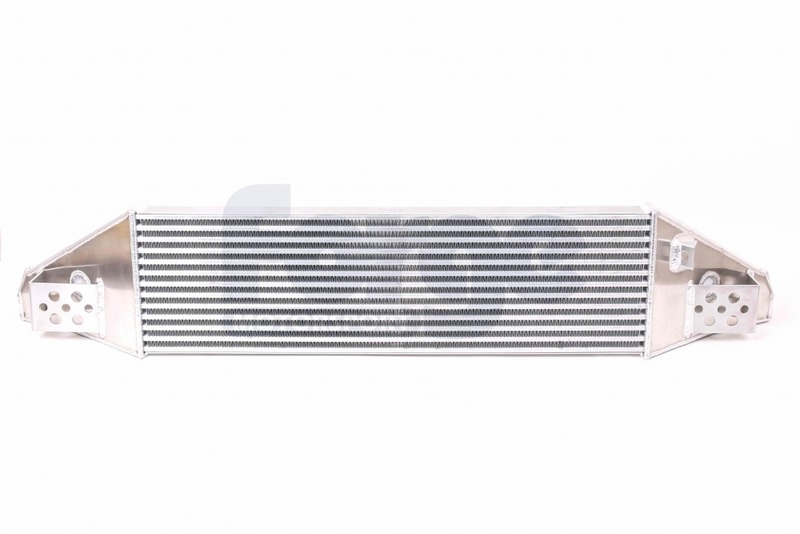 Before and after Dyno testing quickly showed the significant gains of this intercooler were achieved in the upper range, whilst on road testing highlighted the reduction in inlet temperatures . 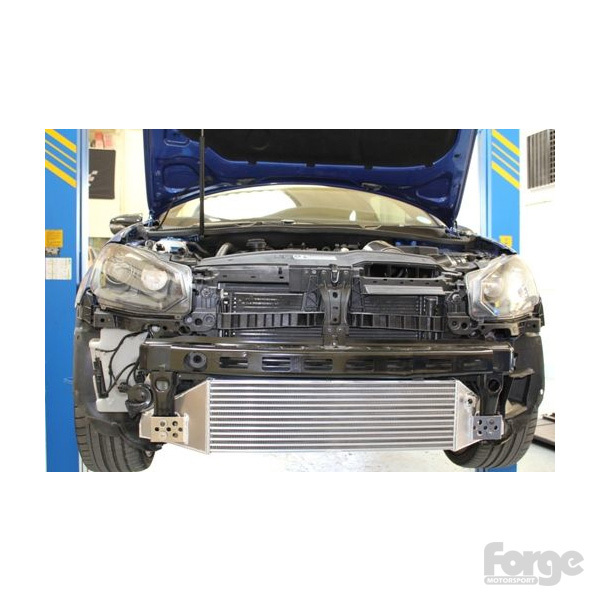 Those involved could not believe how well this intercooler worked so well in combination with the performance software upgrade, with the engine continuing to pull hard where it had previously felt as if the power flattened off. Please note: This intercooler does NOT fit USA models of this vehicle due to differences in the crash bumper design. For our USA model version see FMINTGOLRUS. This kit is only available with Black Hoses.